Shirts With Random Triangles: Three-star DE prospect Robert Porcher IV decommits from Nebraska's 2017 recruiting class. Porcher is the son of retired Detroit Lions DE Robert Porcher III, whose off-the-field involvement with the community led the NFL franchise to name its "Man of the Year" in his honor. 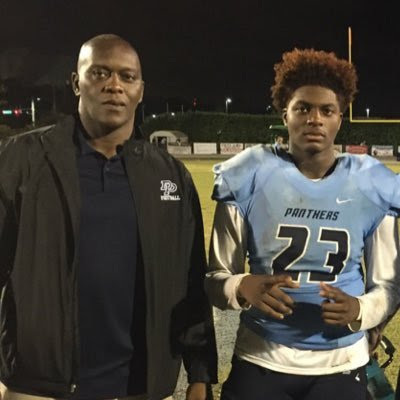 247Sports.com grades Porcher as a composite three-star weak-side defensive end prospect. The recruiting site's 2017 recruiting class rankings lists Porcher at no. 544 in its national composite rankings, at no. 33 among weak-side DE prospects, and at no. 77 among prospects from the state of Florida. Porcher attends Dr. Phillips High School in Orlando, Fl. He stands 6'3 and weighs 245 lbs. Nebraska has fourteen verbal commitments to its 2017 recruiting class following the decommitment of Porcher.